There's not greater "expert" than one who knows nothing about which they speak. To that "expert," reality, experience, fact, and truth are meaningless. Their sense of self-awareness and all-knowingness and self-worth remarkable. Their mirrors reflect an admirer without equal. Not quite two years ago, during a business trip to the Big Easy, I was invited to an evening social in a private home. About an even split of men and women, making for less than a dozen, was the cocktail party. A now sitting female service secretary was present as was several senior female naval officers. And there was a female civilian attorney, too. I was amongst the four or five men. Lawyers or businessmen were they. None had military service on their resumes. When the topic of women in ground combat surfaced, with interest I listened and spoke only when asked being brief and blunt. 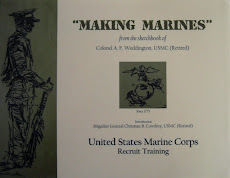 As it turned out to my great surprise, though the only Marine infantryman present, I knew less about the rigors of being an infantryman and life in an infantry battalion than most of the others - with the not-yet-confirmed but soon-to-be service secretary and a couple of the men the duty "experts." How much they knew - for not having completed entry-level training, infantry training, nor serving in an infantry battalion - was astonishing! Just within the past few days I've read that Secretary of the Navy Ray Mabus is finding fault with the Marine Corps methodology for assessing the suitability of females serving in ground combat units - especially the infantry. The troubling data of reality does not align with agenda. And Secretary Mabus has been outspoken saying he's unwavering seeing no reason to grant exceptions to assigning women to any ground combat arms specialty. Secretary Mabus, like his sister service secretary and some of the men at the soiree, is an "expert." Over the weekend I visited with friends - one a retired Marine infantryman (eight years my senior) and the other a civilian (12 years my junior) without military experience. They do not know each other yet they see the women in ground combat matter the same. And that would be it's a mindless idea. The Marine for all the reasons any Marine infantryman well knows. The civilian, father of a daughter and son of high school age both of whom compete in sports, for all the logical reasons and logical thinking person can deduce - from variables of physical strength and stamina to physical attraction. As he observed, there's reason junior high and high school boys and girls do not compete against each other, have separate locker rooms, etc. With both men I shared the Senate Armed Services Committee testimony of General Robert H. Barrow, USMC (27th Commandant of the Marine Corps) on the matter of women in combat - we watched the video together. I thought about our afterwards lengthy conversations - that included physical and psychological differences between the genders; cohesion; that exposure to danger is not combat; that hardship and danger in tough training, something that is ongoing and a given though combat is not, too results in injury and death; and every other aspect you can conjure up as relevant. After a couple of days bringing some mental order to it all, this morning I took a good long look at the list of Marine Corps commandants. Generals John A. Lejeune; Alexander Vandergrift; David M. Shoup; Louis H. Wilson, Jr.; Robert H. Barrow; and Carl E Mundy, Jr. were the first ones that stood out. These men, all of them, were infantrymen. They knew the hardships and horrors of being an infantryman. They knew what it took to lead infantrymen. And they knew what was required of infantrymen - in training and when ordered into battle. Some of them had experiences more challenging and horrific than others but all bear battlefield decorations. Their physical courage clear. More importantly, they were men who lead through great moral courage. 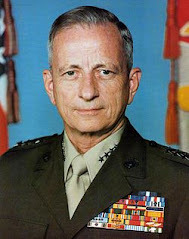 A single question then struck me, "What would these Marine generals think about women in ground combat and what would they do if in office today?" The answer did not require much thought. From what I've read about these Marines, and having met General Barrow (and familiar with his passionate, compelling testimony), there's no doubt their position and no doubt what they would do. They'd not be party to women in ground combat - would say so and lead accordingly. And there'd be a big formation of generals right behind them. I read recently an email by one woman who is leading the charge against women being assigned to ground combat units. In closing her note she said the current commandant, General Joseph F. Dunford, Jr., must be under great pressure. She could not imagine. I wrote her saying she had it wrong, all wrong. Because a man of great moral courage does not feel nor know pressure. A man of great moral courage does what is right - even at his own peril. 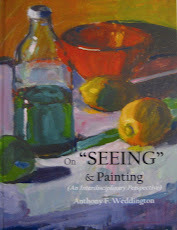 He does not have to think about it - what is right and what is wrong is crystal clear. And easy. I have only met General Dunford once. About a year ago we spoke for a few minutes - this matter of women and ground combat came up. I'll say no more to that. But I have a number of friends who know General Dunford well - serving with him from lieutenant days. One would be hard pressed to find someone in receipt of greater praise and respect from so many. Only moral courage draws that sort of crowd. From them it is logical to assume that General Dunford feels only peace and calm because he, too, an infantryman knows exactly what the right thing to do is - and that right thing is that women must not be assigned to ground combat units - especially the infantry. It is America's national security that is at stake. Combat readiness and effectiveness is not to be monkeyed with - ever. That is reality, truth, backed up with more than a couple centuries worth of battlefield history and most recently with unnecessary laboratory type dopey data from schools and field studies. Any pressure whatsoever heaved upon General Dunford will be self-imposed - living up to the example(s) set by his predecessors. They are the Marines his name either will or will not be mentioned alongside in the same sentence. That is how General Dunford will go down in Marine Corps history. That is important. That is powerful. William Slim, a British military commander during WWI and WWII, understood the greater value of moral courage. 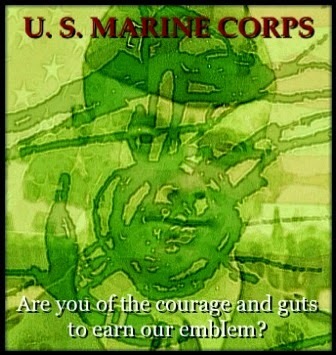 Moral courage is U. S. Marine leadership. And no pressure, generals of U. S. Marines. Time now for experts to school "experts." Marine Corps Core Values: Honor. Courage. Commitment. Courage: The heart of our Core Values, courage is the mental, moral, and physical strength ingrained in Marines that sees them through the challenges of combat and the mastery of fear, and to do what is right, to adhere to a higher standard of personal conduct, to lead by example, and to make tough decisions under stress and pressure. It is the inner strength that enables a Marine to take that extra step. A Marine demonstrates moral courage - he leads.